There were more moments of brilliance during Round Five of the Aviva Premiership Rugby season, with first place in the table changing hands multiple times. The Saints ascended to the summit, the Falcons harked back to a time they went on to be crowned champions and the Sharks went on the rampage. In case anything passed you by, here’s our rundown of all the key points. 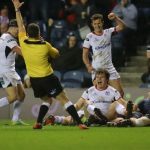 Chris Wyles bagged two tries as Saracens cruised past Worcester Warriors on Friday to rack up their third win in a row. Alex Goode also dotted down for the reigning European champions, with Alex Lozowski kicking eight points while the hosts’ only score came through a Jamie Shillcock penalty. Defeat leaves Worcester bottom of the Aviva Premiership Rugby table and they will be hoping for some respite when they travel to Bath in Round Six. Newcastle Falcons were briefly top of the table following their 29-17 victory over London Irish on Friday night. They may now have been ousted by Northampton Saints but the men from Kingston Park will be far from bothered that they surrendered that perch – they have made their best start to an Aviva Premiership Rugby season since 1997, when they won the title. Vereniki Goneva scored a brace of tries in the first half to add to a Juan Pablo Socino effort before Will Welch got the Falcons’ fourth. Loving these  from @FalconsRugby! Sale Sharks turned on the style on Friday evening as they ran in eight tries against Gloucester Rugby at the AJ Bell Stadium. Byron McGuigan was chief entertainer as he helped himself to a hat-trick while Denny Solomona also bagged a brace, pulling off a superb chip-and-chase for his opening try of the game. 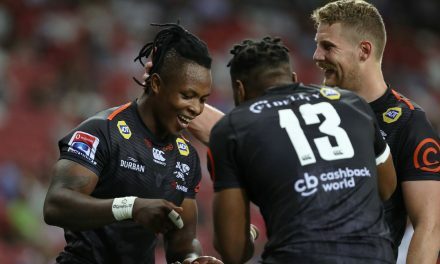 Sam James, Faf de Klerk and debutant James O’Connor all also dotted down as the Sharks triumphed 57-10 to claim their biggest win of the season so far. 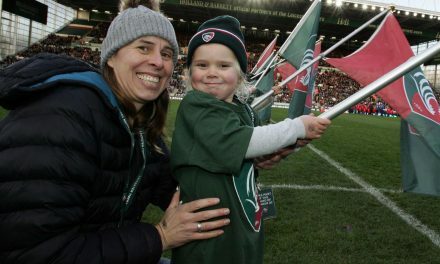 Northampton’s renaissance continued apace on Saturday as they charged to the top of the Aviva Premiership Rugby table with a fourth win on the spin. Saints, who were heavily beaten by Saracens in Round One, edged a tight encounter with Harlequins 30-22 at Sixfields, with first-half tries from George North, Tom Collins and Mike Haywood providing a springboard for victory. Ahsee Tuala rounded things off for the hosts after the break, with Harlequins winger Marland Yarde unable to mark his 100th Aviva Premiership Rugby appearance with positive result. ☝️Top of the @premrugby table, but the season’s not even a quarter done yet. 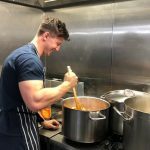 Jonny May’s fine start to life as Leicester Tigers player continued as he played his part in a clinical victory over reigning champions Exeter Chiefs on Saturday. 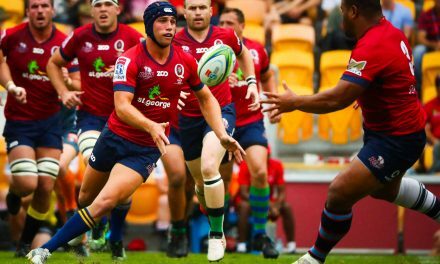 Leicester only made it to the Chiefs’ 22 on three occasions but still managed to rack up 17 points from those forays forward. And it was England winger May who scored his side’s second try of the game, making it five in five games for his new club, who ran out 20-13 winners. As Wasps held their 150th anniversary celebrations at the Ricoh Arena on Sunday, Bath rocked up and played party poopers. Semesa Rokoduguni stood out with the only try of the game as he rounded off a 25-9 success for the visitors, who had led 18-9 thanks to the combined kicking efforts of Rhys Priestland and Freddie Burns, Jimmy Gopperth racking up the hosts’ total with three first-half penalties. 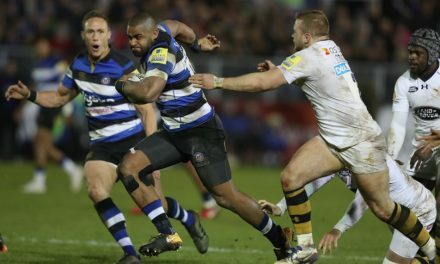 Bath’s confidence-boosting triumph was also aided by a sterling defensive display, characterised by flankers Zach Mercer and Sam Underhill, who made 44 tackles between them.